When Eyerly Aircraft’s pilot training devices started selling better as carnival attractions, Eyerly soon introduced the Loop-O-Plane – their first amusement ride designed to be used as such. The video below illustrates the simple, yet thrilling ride experience. Roll-O-Planes were a descendant of Loop-O-Planes, which is why both look similar and are often confused with each other. Lagoon purchased a few Eyerly rides between 1947 and 1954, but they didn’t own a Loop-O-Plane until 1972. Multiple official and unofficial names for the ride at Lagoon (some of which were carelessly interchanged with the Roll-O-Plane) has made it difficult to pinpoint information about the ride. 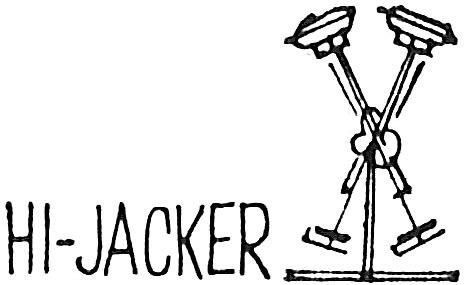 Lagoon introduced it with the name “Hi-Jacker” in 1972. At some point the name changed to The Looper.¹ Still, many people referred to it as The Hammer or “the salt and pepper shakers”. Detail from a 1972 ad. The original location of the Hi-Jacker/Looper has yet to be confirmed. 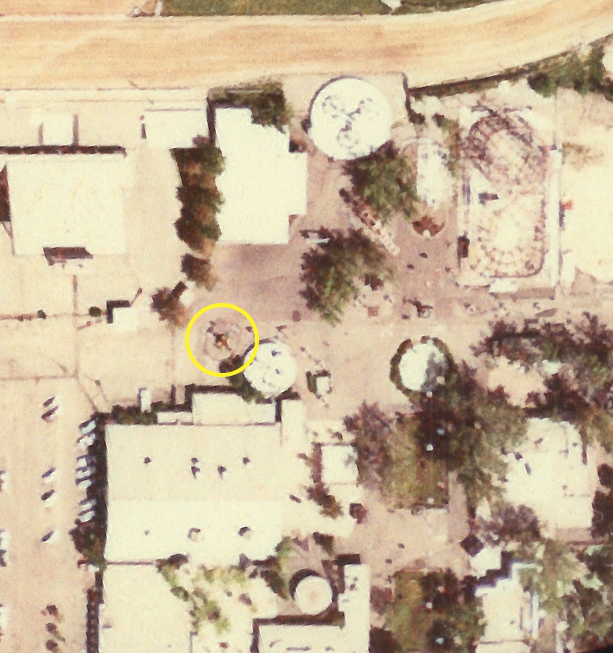 One possible spot would’ve been near a large tree between the Carousel and Octopus. That was where the first Roll-O-Plane had been until a new one was installed further south, across from Rock-O-Plane in 1972. If The Looper was located near the Octopus, it was most likely moved by 1979. In the 1980s, The Looper could be found on the north side of the Game Time building. The Looper was removed after the 1987 season and probably either scrapped or sold. Meanwhile, Tilt-A-Whirl moved to the northeast to where it currently sits and the Sun ‘N’ Fun Theater, featuring a seal show and high-diving spectacular, opened in the space north of Game Time in 1988. Today, that space is occupied by Sky Coaster. 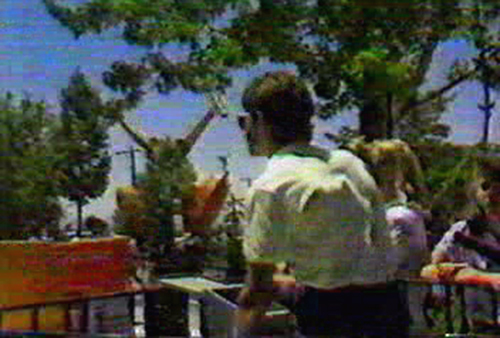 The Looper can be seen behind the Space Scrambler in this screen capture from a 1987 KSL documentary. One possible reason for the name change might have had to do with a sharp increase in airplane hijackings in the late 1960s and early ’70s. Lagoon To Open With 5 New Rides. Deseret News, 24 Mar 1972. Airliner Hijackings. Aviation Safety Network, accessed 28 Mar 2017.